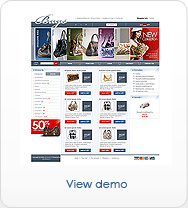 AlgoZone team of designers offer custom-designed eCommerce templates for businesses seeking a totally unique appearance on the web. Whether it is complete customization of one of AlgoZone's templates or building one based on your specifications, we can come up with a site that suits your needs. This service includes unique graphics design for your eCommerce business line and integration of it to the shopping cart of your choice. 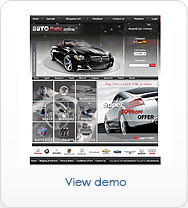 We include design for main, product listing and product details pages. 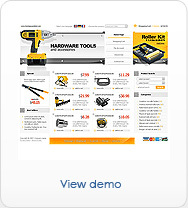 Once integrated to your cart, all other pages will have same new design based on your shopping cart layout for all other pages. We currently support following shopping cart software: osCommerce, Zencart, Magento, CS-cart, CRE Loaded and OSCMAX. We can develop for other ecommerce platforms as well. Please check with us for more details.